The Science and Technology Facilities Council has convened a Review Panel to prepare and provide advice to Science Board on an updated strategy for STFC supported exoplanet research in the form of a recommended UK strategy. 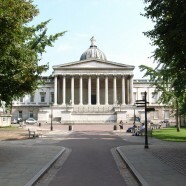 As part of this review, the Exoplanets Review Panel is holding a Community meeting on 11th December 2014 in the Christopher Ingold XLG2 Auditorium, University College London. The meeting will commence at 2pm and end at 4pm. The purpose of this meeting is to assess current strengths of the field in the UK and to identify future needs and opportunities. There will be an opportunity to discuss and review some of the main conclusions arising from the recent community questionnaire. This will provide valuable input to the Exoplanets Review Panel as it works towards producing a recommended strategy report for STFC’s Science Board. We welcome attendance from those in the UK exoplanet community and researchers from other areas. It is expected that the review Panel will submit a written report to the STFC Science Board in April 2015 and will present its findings at the UK Exoplanet Meeting at Warwick University at about that time. A draft report will also be made available to the community for comment.